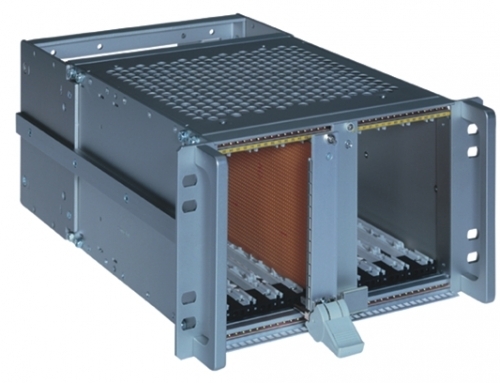 With UFanRail® SRS offer a fan unit, certified to EN 50155, for the InnoTrans 2012. 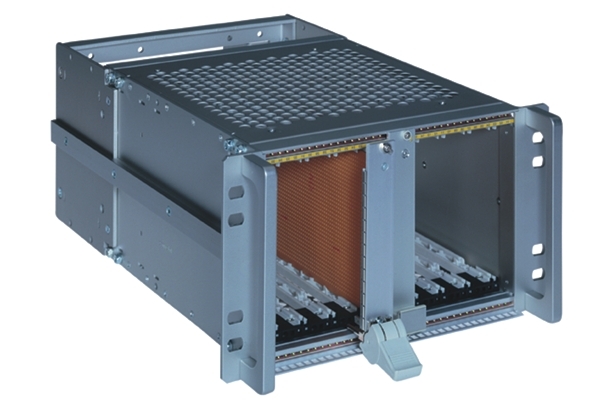 Specially developed for applications in the railway sector, UFanRail® ensures an efficient and steady cooling of modular units within 19 inch cabinets and housings. A standard fan shelf achieves a well-aimed airflow exclusively limited to fan area. The air flow conduction of Intermas UFanRail® however guarantees an effective, even cooling preventing hotspots. This helps to increase the MTBF of the electronics and enables higher system efficiency. Depending on the ambient temperature, the fan speed is regulated linearly in a range between 50% and 100%. Besides advantages such as less noise generation as well as energy conservation, it also increases the life time (MTBF) of the fans. To make a diagnosis, the states ”over- and under-voltage, blocked rotor, fan speed, operating hours, downtime, ambient temperature” are controlled. The data communication occurs either via TPC/IP respectively SNMP or via field bus MVB (multifunction vehicle bus) specific to railways. 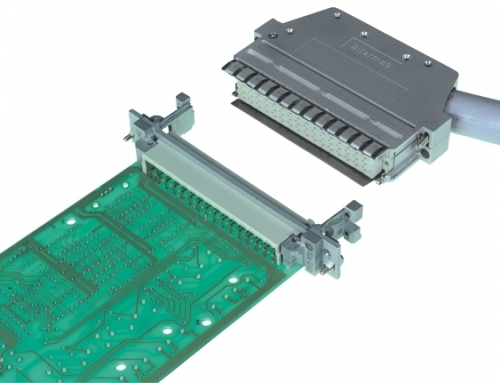 To guarantee the signal transmission even in harsh environment, the signals are conducted via a robust floating plug connection. Another special feature of UFanRail® is a wide input voltage range from 24 to 110 DC, whereby the input is protected by a surge-filter from over-voltage and voltage reversal. According to T1 of EN 50155, the UFanRail® can be used at a ambient temperature from -25 to 70°C. The storage temperature range from -40 to 85°C. UFanRail® fulfills the fire standards CEN TS 45545-2 and NF F 16-101 / NF F 16-102 for rail cars. The fan unit is also tested for the standards EN 50155-2007, IEC 61375-1, IEEE 1473-T, NF F 61-005, EN 50121-3-2, NF EN ISO 13857, STM-E-001 and NF EN 60068-2-14.